SARASOTA – The Sarasota Bay Estuary Program (SBEP) will host a press conference at the Federal Building located at 111 South Orange Avenue 9am on Tuesday, August 26. The purpose of the press conference is to release the results of the Economic Valuation Study of Sarasota Bay and to present the recently updated Comprehensive Conservation Management Plan (CCMP). 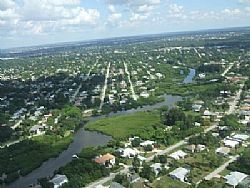 The Economic Valuation Study was led by Paul Hindsley, PhD, an Environmental Studies Professor at Eckerd College in St. Petersburg and the Coordinator of Eckerd’s Coastal Management Program. The two-year study was divided in two phases; phase one focused on the total capitalized value of single family properties on or near the bay and phase two included a survey of residents and visitors to learn how people access and use resources associated with Sarasota Bay. Mark Alderson, the SBEP Director, will make a brief presentation about the CCMP. The CCMP is the official document that sets the priorities for SBEP and the other 27 National Estuary Programs located throughout the U.S. Copies of the CCMP will be available at the press conference. SBEP will provide the media information handouts about the CCMP and Economic Valuation Study. A member of the SBEP Policy Board will also attend the press conference and will be available to make comments and answer questions.